Family and friends provide much of the care for Americans 65 and older who require at least some support with daily activities. Nearly two-thirds have had to balance work with providing that care, according to a 2017 AP-NORC Center survey of Americans 40 and older with experience with long-term care. About 47 percent are having difficulty doing so. 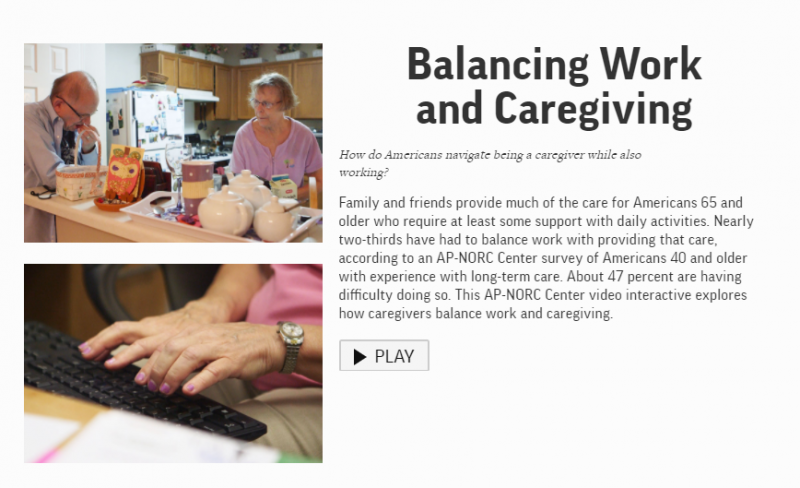 This AP-NORC Center video interactive explores how caregivers balance work and caregiving.